The most precious gemstone, the diamond, is graded based on the 4 Cs: Cut, Color, Clarity, and Carat. With colorless diamonds, every one of these specifications equally matters. When it comes to color diamonds, and colored gemstones for that matter, color takes precedence. After all, a gemstone’s color is truly what sets it apart from other stones. Gemstone color can be broken down into three categories: hue, tone, and saturation. The first factor, hue, refers to the specific color of the stone. It is preferable for a stone to have the purest hue possible. This means that any secondary color should either be nonexistent or minimal. The second factor, tone, describes the level at which the color is seen in the stone. A gemstone can be green, but it can be a very light shade of green or display an extremely deep green color. Lastly, the saturation of a stone is how strongly the stone’s color shows versus any possible gray or brown hues that may be present in the stone. There are some gemstones that can be found in completely different colors, so it is important to ensure that both the gemstone and the color are correct. 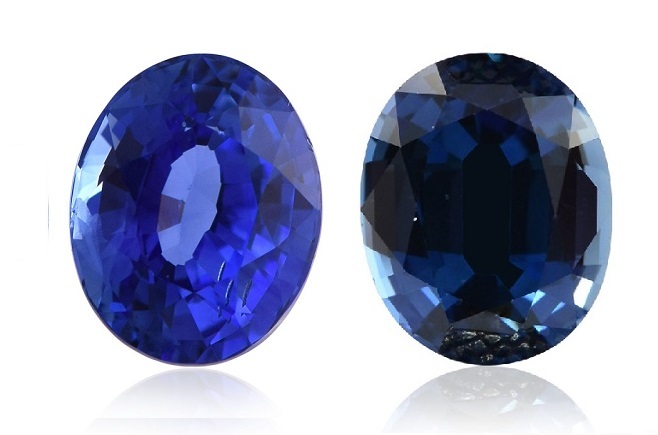 For example, sapphires can be found in either pink, white, yellow, or the mast familiar – blue. Ruby, aquamarine, and emerald can only be found in red, blue and green, respectively, but stones like tanzanite and tourmaline can be found in more than one color as well. Before the color of any gemstone, can be assessed, its color must first be established. A gemstone appraiser makes sure, for example, that the blue stone that he is looking at is a tourmaline and not a sapphire, or a tanzanite and not an aquamarine. A stone’s hue can be a pure primary color (red, blue, or yellow) or a secondary color, which is the result of primary colors mixing (orange, green, and purple.) A stone’s color can also be mixed with gray, white, or black, which results in the need for yet another grade. When there is gray in a stone, it is the saturation that needs to be graded. When there is white in a stone, it is the tint that needs to be defined. The presence of black in a stone can affect the tone. Most stones are more valuable when there is little tint, though there are some exceptions. It is the most desirable for a gemstone to possess a pure color, but more often than not, a stone also has secondary colors. For example, a very valuable ruby may display a pure blood red color, or otherwise they can range from pink to the darkest purple. A pure color can be one of the primary colors, red, blue, and yellow, while secondary colors are those created as a result of primary colors mixing, such as purple, green, and orange. The amount of black or white color mixed into the primary color is what determines the tone of a gemstone. A stone will have a dark tone if there is a high percentage of black mixed in. A stone will be very light if there is white mixed in. A stone should not be too dark that you cannot tell what color it is, nor should it be too faint. That is why on the tone grading scale, the middle grades of medium-dark, medium, and light medium fetch the highest prices. 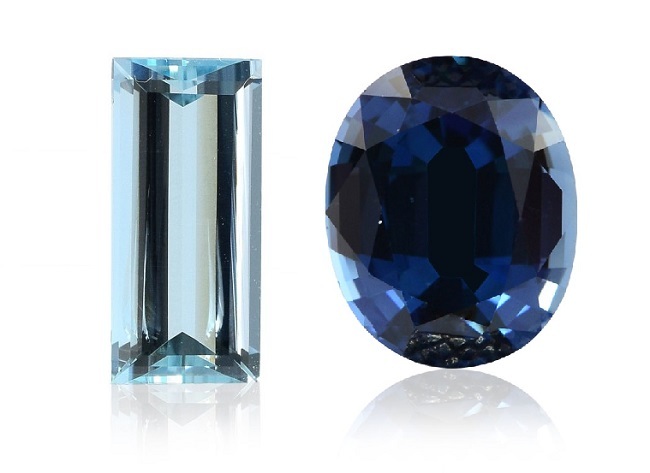 Dark, Light, and Very Light tone gemstones are far less valuable. However, a stone is never graded based on its tone alone. It is the tone combined with the stone’s color that determines its worth. It is not ideal for a gemstone to be too dark or too light, although that may change the price of the stone in your favor. While color is very much desirable in a colored gemstone, and it is preferred for stones to have some traces of black or white, it is very much not desirable for a stone to contain gray or brown color. The less gray and brown in a stone, the higher the saturation level. A stone containing zero gray or brown has yet to be discovered, but if were to be, it would be considered a stone with a 100% saturation. Gemstones with high color saturation are referred to as stones with vivid or strong saturation. The presence of gray in a stone contributes to the saturation level. It is less desirable for a stone to contain gray in it, therefore the less there is of the gray the higher the saturation. A stone with zero gray presence, which would in theory receive a 100% saturation grade, has never been found. A stone can potentially be pure, and free of other hues but it is never free of grey, white or black, and can therefore never receive the highest color grade. But the stone is not based on color alone, but rather, also on its tone. Color grades run 1 through 10. 1-2 is excellent, 3-4 is very good, 4-5 is good, 6-7 is fair, 8-9 is poor, and 9-10 is very poor. Gemstones must be in the 1-4 range with a Medium-Dark to Light –Medium tone to be considered high quality gemstones in terms of color. The clarity in gemstones refers to the amount of inclusions in the stone. A gemstone that is Free of Inclusions is a stone that has inclusions that even under 10x magnification cannot be seen. Very Lightly Included stones may or may not have inclusions that can be detected by a professional with a lens. Lightly Included gems have inclusions that are detectable under 10x magnification, but not often with the unaided eye. Moderately Included stones possess inclusions that the naked eye can see but they do not dominate the gem. Heavily Included and Excessively Included stones have clear and visible inclusions that affect the stone’s appearance and in the case of the latter, the stones may not be durable. Part of a stone’s clarity is the brilliance it displays. This is related mostly to the way in which the stone was cut. The depth of a stone is another aspect of gemstones and is related to clarity as well. The height of the stone divided by its minimum width is a stone’s depth. Ideally this should be between 60% and 80%, however this depends greatly on the rough shape of the gem. Stones that are under 50% are considered shallow and may find it hard to maintain saturation. On the other hand, stones over 90% might blackout if it has a dark tone. The cutting grade for gemstones is just part of the overall grade it receives. The cutting grade is comprised of both the diamond’s brilliance and the diamond’s depth. The grade also includes the general quality and precision of the diamond’s cut and finish. If the cut has any flaws or weaknesses it will be mentioned in this grade. Though it is possible to look at the individual great for each and every aspect, you can keep it simple and look at the overall grade, which summarizes all of the diamond cut’s elements. This grade consists of five levels. These are Excellent, Very Good, Good, Fair, and Poor. Statistics show that 900 out of 1000 diamonds mined will fall into the Fair or Poor categories, while only 1 will receive the Excellent grade. People would generally assume that the bigger the better, and therefore more expensive. However, with gemstones, it is not so black and white. Though many times larger stones are more sought after and therefore far pricier than smaller stones, this isn’t always the case. There are some gemstones such as the ruby, which are often found in large sizes. 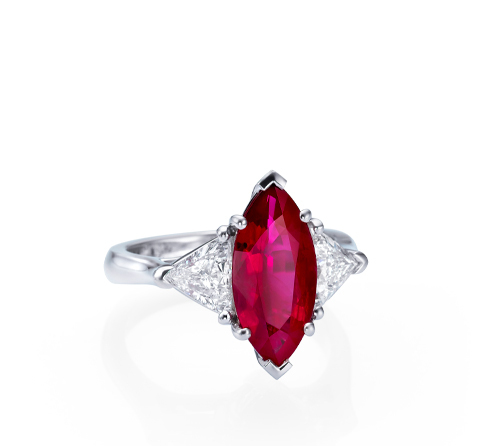 However, it is extremely difficult to come across a ruby with high clarity. 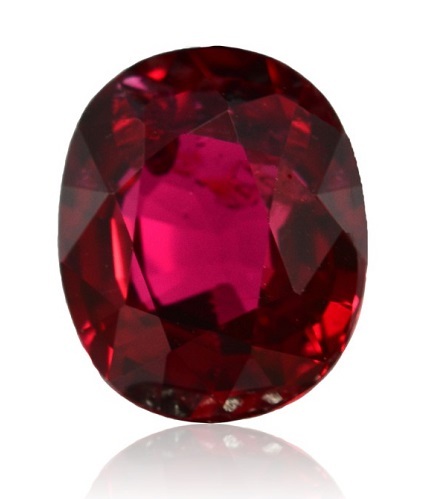 Therefore, a much smaller ruby with few inclusions will cost a pretty penny. Additionally, a stone’s weight does not necessarily reflect its visual appearance. What this means is that a rather heavy stone may be very deep, and much of its weight will not be seen when set in a jewelry setting. On the other hand, a much lighter stone could appear much larger simply because it is shallow but wide. Someone with a tight budget could benefit greatly from such a stone. Nature has left us with many different types of gemstones, each with its own unique features. There are many aspects of a gemstone that need to be examined in order to assess its true worth. However, there are many different laboratories that produce these stones, and some have different grading systems. Additionally, each and every person has different taste. If it is a matter of selecting a gemstone for a jewelry piece, then one should go with the stone that speaks out to him or her. After all, beauty is in the eye of the beholder.